Happy Sunday, people! 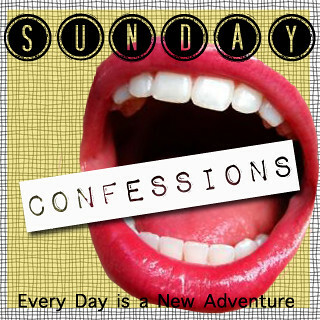 As per usual, it's time for Sunday Confessions, so grab a button and link on up! 1. I think I'm becoming a sewing addict. Am I good? Not really [yet]. Have I had to rip out stitches more than once twice fifteen times? Probably. But you don't get good at something without practicing. This weekend I made a maxi dress (which I am totally wearing to church today) and a maxi skirt. Don't worry, you'll see pictures of both soon. 2. I'm looking at Formica for our countertops. 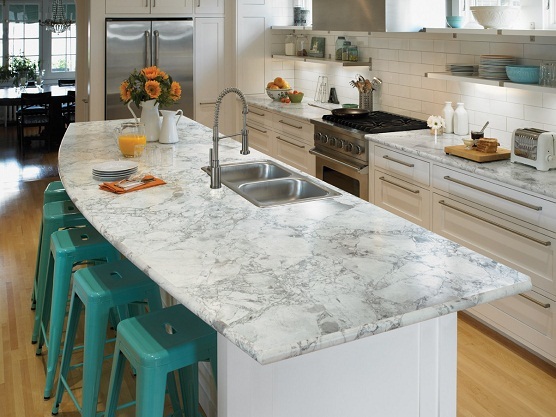 Uhhh when did they start making formica countertops that actually look good? 3. I watched "The Vanilla Ice Project" and liked it. One hit wonder turned house flipper who has his own TV show. Yeah, that's destined to be good. 4. I got paint in my eye yesterday. I don't think this is a confession, but I felt like telling the world, so there ya go. 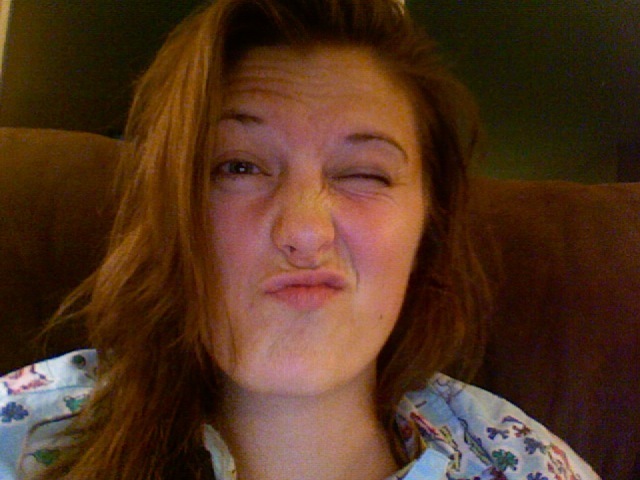 Observe the totally rockin' pajama shirt. 5. I am sooo excited for the Christmas in July link-up on Wednesday. Yes, that was a shameless plug. Get your posts ready, people! And if you haven't sent your package yet, I'll send you a biting fly in the mail. That's a lie. But I'll be sad, so send it, please! I haven't got my package yet :( Fingers crossed it arrives for 25th! Well...now I do...didn't know your blog then...lol! I've seen the Vanilla Ice Project advertised but haven't watched it yet...too funny...:) Hope you had a nice weekend! I've watched the Vanilla Ice Project several times--it's surprisingly good! Can't wait to see your dress and skirt! Can't wait to see your dress and skirt. I need to learn it! I haven't gotten my package either but I hope it will arrive before the 25th. Stopping by from this huge blog hop! Newest follower. Love for you to stop by and return the follow when you can! I'm a new follower and this is my first time linking-up! I'm a big fan of the turquoise in that kitchen. I have a shabby chic side table that is turquiose and it's a great little pop of color. I've been wanting to check out the Vanilla Ice Project...I have a soft spot for one hit wonders. I rather prefer a wood coutertop but then again, it's not my kitchen, so good luck. & I did sent my xmas july package, although I was a little late. I hope I won't get punish for that. okay, probably not. thanks for organizing. Those counter tops really do look SO good! 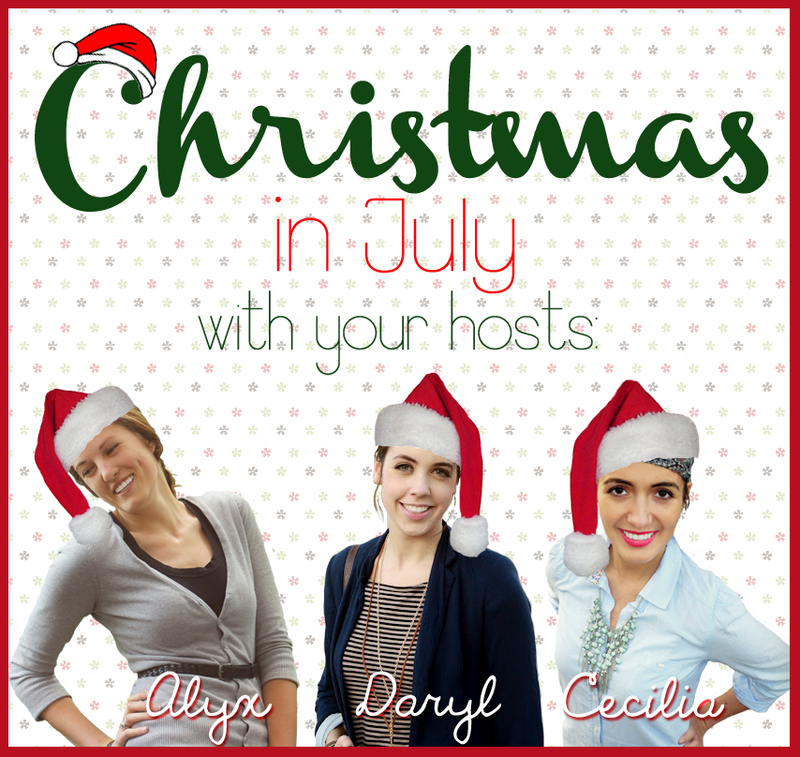 Wait, what is Christmas in July? What am I missing out on here? I need to know! I think it's so great that you are learning how to sew. I always think that I want to learn how and then I remember how impatient I am. And I am getting my Christmas Post ready today. Woot Woot! So excited for it as well. That is some pretty awesome formica! And look at you, turning into a domestic diva with a new house, and all those mad sewing skills you're cultivating =). The Vanilla Ice Project?! Hells to the yeah. Ooh thanks for the reminder! Off to write my post!